It was a pretty big weekend with Book of Mormon on Friday, and then Julius Caesar on Saturday. 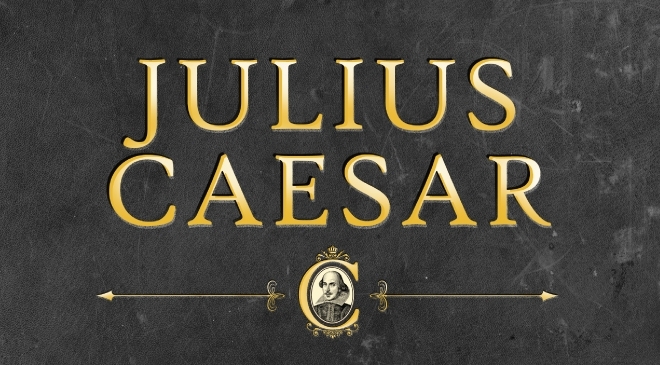 Mind you, since Julius Caesar is one of my favourite Shakespearian plays I was going to go and see it, but then again it is also a Shakespearian play, and one that isn't performed all that often, so it was going to be a no brainer that I was going to see it. Fortunately Monday was a public holiday, so I also had some time to sit down and write some thoughts about it (as I am prone to do). The play was performed by the Royal Shakespeare Company and is one of four Roman plays, the other three being Coriolanus, Antony and Cleopatra, and Titus Andronicus. While I didn't get to see their version of Coriolanus, I have seen a film version (which was nothing short of awesome), and also another minimalist version of the play about a year ago. As for Julius Caesar, other than reading the play multiple times, the only version I have seen is a really bad American version where Brutus has an American accent that basically put me off the entire movie. Mind you, in this version the actors all had English accents, but a part of me is able to tolerate that. In one sense you could say that Julius Caeser is simply an historical play that lives in the Roman past and one may wonder what it has to say to our times, however Shakespeare never did things by halves, and he certainly never did anything simply because he had a good idea at the time - there was a purpose behind the production of this play, one that not only spoke to the audiences of his time, but one that can even speak to us today, particularly in the era in which we live. I probably don't need to go into too much detail with regards to the story because, I'm hoping, that we all know who Julius Caesar is, and what it was that made him famous. 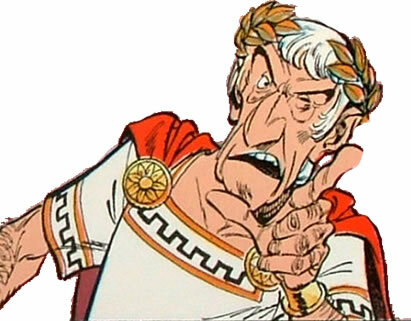 Okay, I should be honest and admit that until I went to university the only thing that I knew about Julius Caesar was that he was a Roman, that he was an emperor (which was incorrect, as I discovered), he was murdered by his best friend Brutus, and that he had a big nose (thanks in part to the Asterix comics). However, beyond him being the regular antagonist in the Asterix comics, and making some statement along the lines of Veni Vidi Vici, that was pretty much about it. I didn't think he actually lived to be this old! However, when I went to university I decided to study classical studies, in part because I loved Dungeons and Dragons, and classical studies dealt with Ancient Empires (and magic, and monsters). While at first I did it to fuel my imagination, the more I studied it the more I came to realise the complete lack of imagination that went into the various worlds, and novels, that the creators of Dungeons and Dragons came up with. Furthermore, I came to realise that history was a lot bloodier, and much more exciting, than my high school history classes painted. The thing is that Rome of the Republican period was anything but stable. 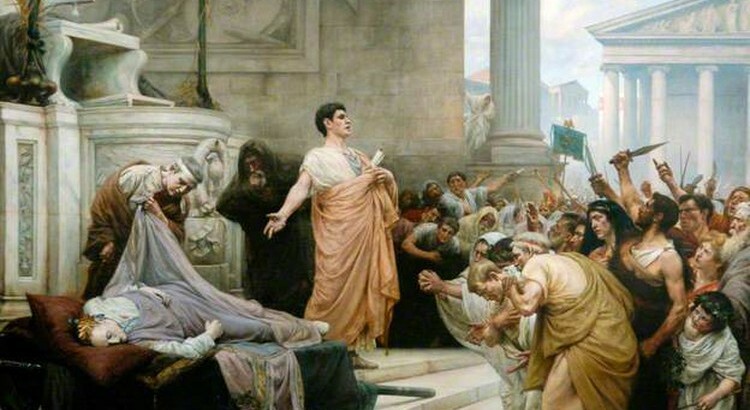 Sure, the Republic had survived since Brutus murdered Tarquin, but it was always going in and out of turmoil. 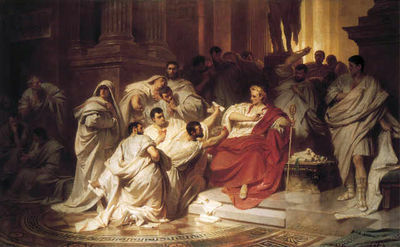 When Brutus removed the king and established the Republic, it was a question of Freedom for the upper classes, but the problem was that there was always a further push for freedom from those from below (with the exception of the slaves - any revolt would be brutally crushed, as Sparticus discovered). As such Rome stumbled from crisis to crisis, attempting to put in place measures to restrict the power of one man, but to also give as many people the ability to voice their opinion. What eventually happened was a series of checks and balances that simply went nowhere. 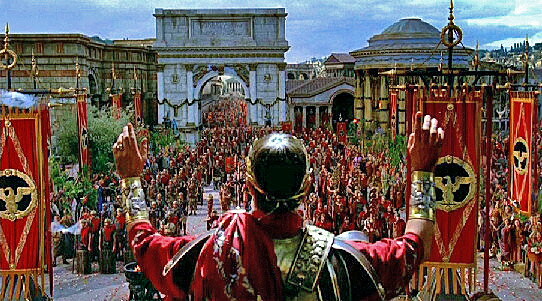 The play opens with Caesar entering Rome, triumphant. Just previously he had been at war with Pompey, another Roman figure, and the republic had split along these lines. Caesar was victorious, however he refused to deal with the enemies that had survived - a few decades earlier there was another dictator, Sulla, who had systematically killed all of his enemies and Caesar simply didn't want to follow in his footsteps. 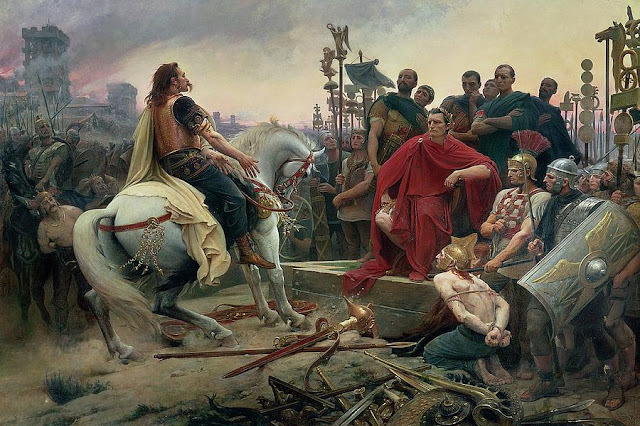 However, that was a big mistake as his enemies eventually conspired against him and murdered him, which plunged Rome back into Civil War and emerged as an empire. Like the Greeks before them, and like the modern democracies in which we live today, the Romans did not like the prospect of one man having too much power. The thing is that the maxium of power corrupts and absolute power corrupts absolutely holds true then as it does now. The problem was that in attempting to blunt the power of any single man, very little was able to be done. Further more, the further down the chain you go, the less power the people had, and there was always an agitation for the lower classes to have just as much power as did the upper classes - in fact whole wars were fought over this one issue. These days we still have memory of the horrors of what a totalitarian regime can do - Hitler, Stalin, and Pol Pot come to mind. However, this wasn't necessarily the problem that the Romans faced. This wasn't an issue of protecting minorities, because the minorities didn't matter - you were either a citizen or you weren't (though this aspect of nationalism is starting to raise its ugly head again). No, the question really came down to how much power does the citizen have - is it defined by one's citizenship, by one's wealth, or by one's ability to persuade the crowds. Yet this wasn't an issue in Shakespeare's mind, and in fact this is the wrong question if we look at the play through modern eyes. The thing is that Shakespeare lived in a Monarchy. Okay, it wasn't a totalitarian state, but it still had the power concentrated in the hands of one person, in the case of this period it was Queen Elizabeth. In a sense Shakespeare was not too concerned about this power corrupting those who held it, but rather what would happen if the people decided to remove the person holding the power. While it wasn't in living memory, a lot of Shakespeare's plays are written with one eye looking back on the War of the Roses. In fact a whole slew of plays were written about this chaotic time, culminating with Richard III. In a sense what concerned Shakespeare was not so much one person having too much power, but rather what would happen if this person were to be violently removed. In one aspect he points back to the chaos of the War of the Roses, but in this play he points us back to Ancient Rome, and an incident that no doubt would be known by many of the educated in the audience. The problem with most revolutions is that they generally do not have an eye on to what comes after. This is probably why Rome experienced such a degree of instability - Brutus murdered Caesar, but that left a vacuum, and it was a vacuum that simply wasn't able to be filled. Shakespeare is also pointing at this incredibly turbulent time in Roman history, that the fear of one man having too much power lead to another period of bloodshed and instability, and this is the message that he is trying to get people in his time to hear. The thing was that there were people that didn't particularly like Queen Elizabeth, in the same way that there were people that didn't like James, however in Shakespeare's mind, it is better to have a tyrant on the throne, and to have a country in chaos. This becomes much more evident as we look at history from our perspective, particularly with regards to France and Germany. The French Revolution got rid of the monarchy, but let to a period of turmoil that lasted for twenty five years, only to find itself with a king back on the throne. Germany lost World War I, and removed the Kaiser, only to find itself with an even worse government down the track. Okay, in Germany's case, there was also problems arising from the victors demanding their pound of flesh, but the thing was that there was no plan in place to deal with what comes after. This is why when young people, socialists mostly, cry for a revolution, I cringe. You see, what they don't understand is that revolutions never turn out the way that they want them to. Sure, what we have may not be prefect, but they ignore the reality of past revolutions. Lenin managed to overthrow the fledging constitutional monarchy only to discover that the people actually didn't want his brand of extreme communism, so basically did away with elections and banished anybody who opposed the Bolsheviks. We all know what eventually happened in that scenario. So, we have a rather bloodless way of removing governments that we don't particularly like, and a way to keep tyrants out of power - these things are called Constitutions. However, that doesn't necessarily mean that we are out of the water, because even if democracies have a way to keeping tyrants out of power, and removing governments we don't particularly like, we should remember than Shakespeare actually wasn't a big fan of democracies. This is where I come to my final point, the reason why both Plato and Shakespeare didn't like democracies, and that is the problem of populism. The thing is that people will say anything and everything simply to get themselves elected - we have seen this time and time again in our period of late stage capitalism. Further, if we look into the past we see that this was one of the major reasons that the Athenian democracy collapsed, and that was because demagogues (or populists) managed to sway the people to their will and that allowed their rather idiotic plans to succeed where the ones based upon reason and fact were to fail. In fact I see this as an issue with climate change, particularly with a survey released by the Australian government - what would you prefer, clean energy or cheap energy, and of course everybody is going to say cheap energy. What this survey failed to do was suggest that clean energy was also cheap energy. It seemed to sway the debate by suggesting that you can't have both, you can only have one or the other. Further, the question of facts always takes a back seat. For instance, do you want welfare or do you want to be wealthy, suggesting that welfare means that you won't be wealthy. How is it that people always vote against their interests - because the demagogues change the narrative to make it appear that their interests are with the demagogues. Shakespeare regularly shows the problems with fine sounding speakers, and none is more clear than the oratory scene in Julius Caesar. Here we have Brutus take the stage and convince the people that it was right to call Caesar a tyrant, and thus remove him from power, and the people are swayed. 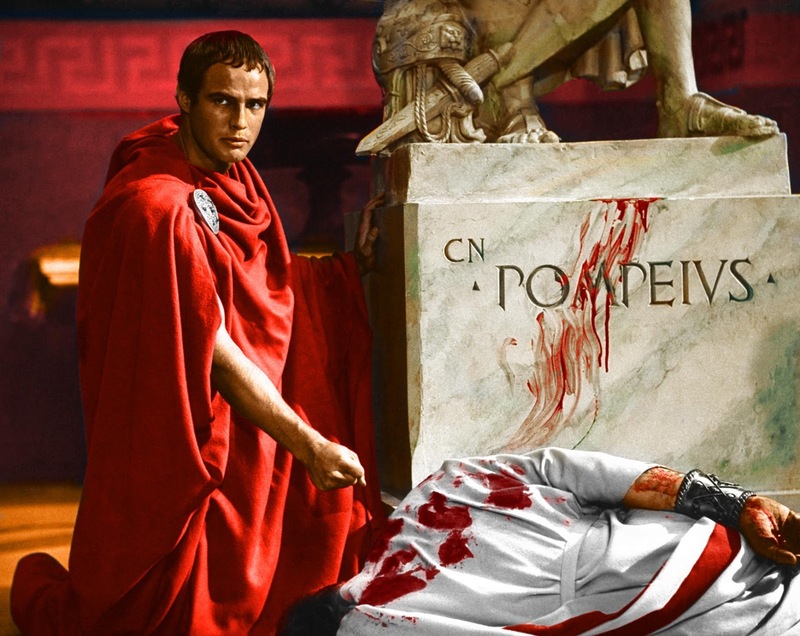 However, Brutus makes a big mistake, and allows Mark Antony to also speak, and with fine sounding words, he completely changes the narrative, and it is an incredibly clever way he does it as well. The thing is though that at the start the people had been swayed one way, and all of a sudden they are now of the opposite opinion. In fact the speech is so well done, I probably should include a video of Charlton Heston delivering it. I want to finish off with a few words on Brutus, because I feel that he is the central character in the play. Sure, Caesar straddles the play like a colossus, and the focus, from beginning it end, is him, but Brutus plays an equally important part. 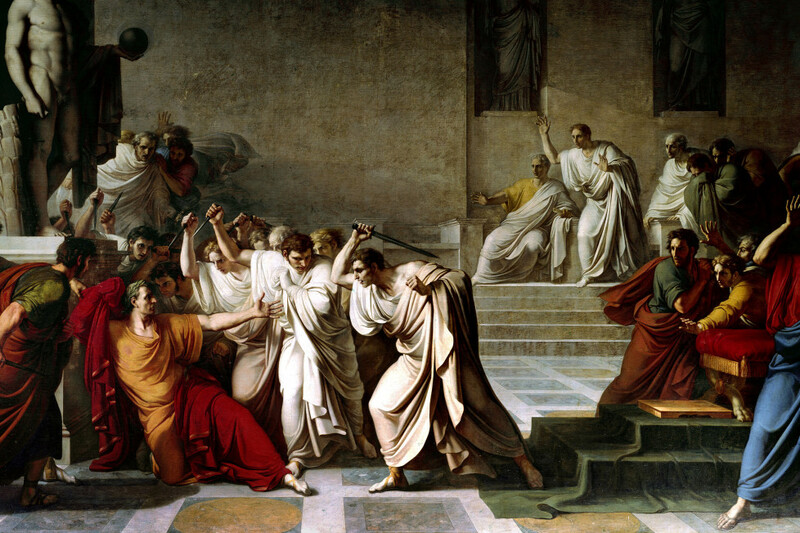 The reason I say that is because the play is not a tragedy of Caesar, but a tragedy of Brutus. The thing is that throughout the play Brutus is torn between his friendship with Caesar, his loyalty to his country, and his honour to his ancestor. Brutus was the direct ancestor of the Brutus that slew Tarquin, and he is painted as having the responsibility of preventing a tyrant from taking the throne. Yet, he is always unsure, knowing that not only is Caesar a friend, but also has the potential of becoming a tyrant and undoing everything that his ancestor had established. It is his ancestor that Caesar's enemies play on, suggesting that the Rome they know will be come if Caesar has his way. Sure, he rejected the crown three times, but that is the way that tyrants work - they gain power by refusing to take power. Yet Brutus is truly a tragic figure because he knows the direction that Rome is heading, and knows that Caesar is the one that can bring stability. However, his lineage says otherwise because he cannot step back and do nothing.